Bilal Hussain | PHP Developer | BCA Student | Tech. Lover Bilal Hussain | PHP developer: Technical updates! WhatsApp , one of the world's most desired messaging apps - with over 700 million people all over the world - announced on Wednesday that it absolutely was delivering the service to Personal computers . The new WhatsApp Web program will allow you carry out discussions in WhatsApp via your web browser , with the service aimed toward those who sit at their Home computers the whole day . The service has several restrictions at the moment and only works with a particular set of smartphones at launch . In this post , we go through every detail of how to set the system up , what devices are supported , and display just how the process works . Can I use WhatsApp Web on any PC ? The simple answer is yes . WhatsApp Web will work on Windows , Mac OS X , Linux and any other operating system that enables you to run the Chrome browser . What smartphones does WhatsApp Web support? WhatsApp Web can be used if you are using the regular WhatsApp application on Android, Windows Phone, BlackBerry, BlackBerry 10 and Nokia S60 but crucially not Apple's iOS. How does WhatsApp Web work? 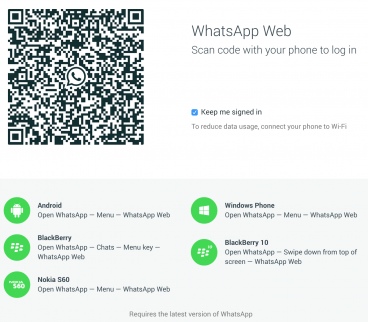 Once you have scanned the QR code the WhatApp Web URL will immediately refresh to show you a web version of WhatsApp, complete will all you conversations and contacts. User interface : As you have seen the interface is clean and straightforward . 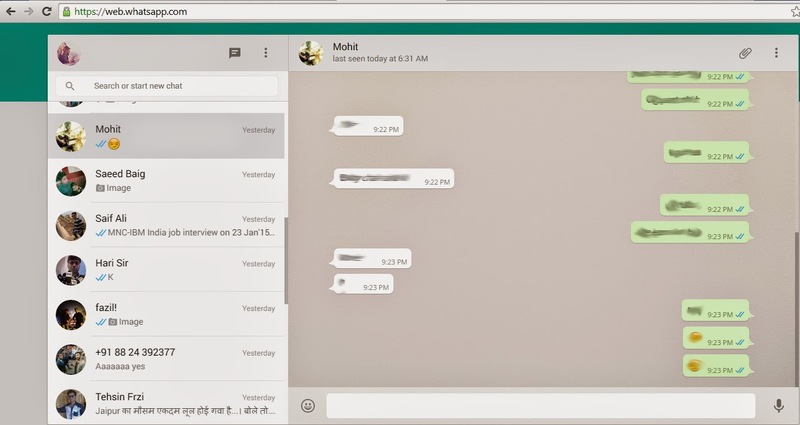 It mimics the smartphone version however enables you to see a lot more of the conversation in a single window . The syncing is fast and fluid , and the best thing about the experience was how normal it felt . Setup : I used the service on an Android device and on Chrome on my Macbook . Once I had downloaded the latest version of the app , logging in was a fast and smooth process . Once the QR code had been scanned , the WhatsApp Web interface immediately popped up with all my contacts and conversations . If you do log off , it should be noted that you will need to scan the QR code again to log back in , rather than putting in a password . Features : You can begin conversations with contacts however it doesn't seem to be possible to create new groups through your browser yet , though you can continue to communicates with groups you are already part of on your smartphone . Just as in the app you are able to send pictures , videos and voice messages through the browser - though you will need to allow access to your PC's microphone to use the latter feature . While you can change your status message in the browser , you cannot change your profile picture . Syncing : WhatsApp Web syncs messages from your smartphone to the browser so that all messages sent and received should be up-to-date on both gadgets simultaneously . You can also scroll back in time to see any part of your conversations , as long as they are synced to your phone . One important thing to note is that even if your PC is connected to the internet , you won't be able to use WhatsApp Web if your smartphone loses connection , which could limit the services usefulness . Notifications : I tested the service on Chrome for Mac and while I was asked to allow desktop notifications , so far I have not seen any kind of pop up . You do get a sound to show a new message has arrived and in the browser tab , a little number indicates how many unread messages you have . Be warned however that if you do have your smartphone near you , you will get a notification on that as well as the browser when you receive a new message .